A South-African car manufacturer buys a used line of steel plate presses from a French factory. Most of the pieces were overweight and oversized. To transport these plates from France to South-Africa, a perfect planning was required on both sides. 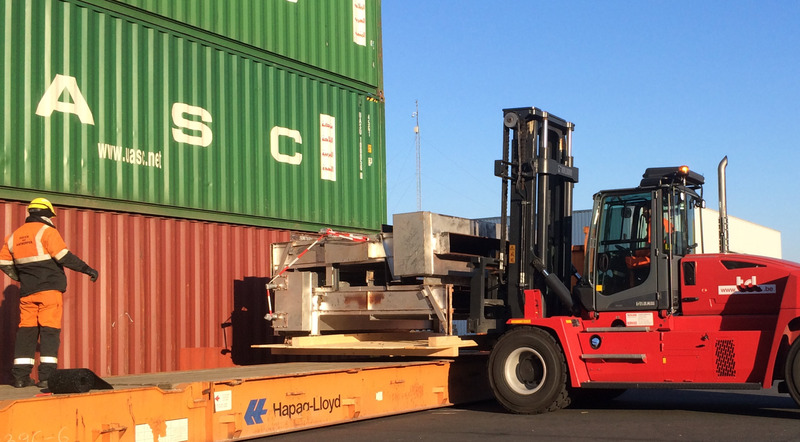 TCL coordinated this complex transport and made sure every detail of the shipment was meticulously planned. Specialized vehicles collected the heavy pieces, according to the dismantling process. Delivery in South-Africa on the other hand was scheduled according to the planning of the rebuild. On every moment of the process, the right truck with the right special convoy license, for the right piece of cargo had to be at location at the right time. The whole chain was even more complicated by irregular transit times and unusual customs formalities at both ends. Together with our client, we managed to turn this entire project into a success.